Sturdy steel frame, durable to use, support maximum weight up to 220lbs. 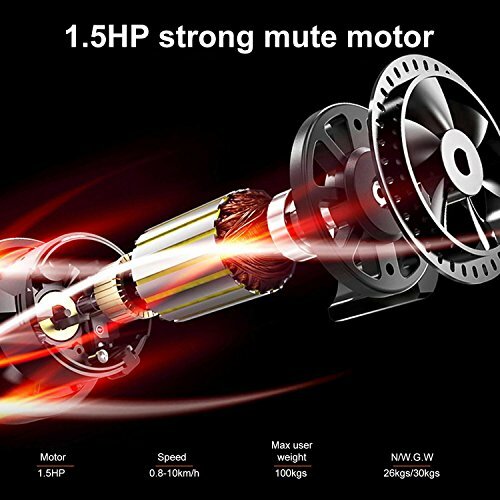 Features with 1.5HP strong mute motor and 40.95 x 14.04 running surface. 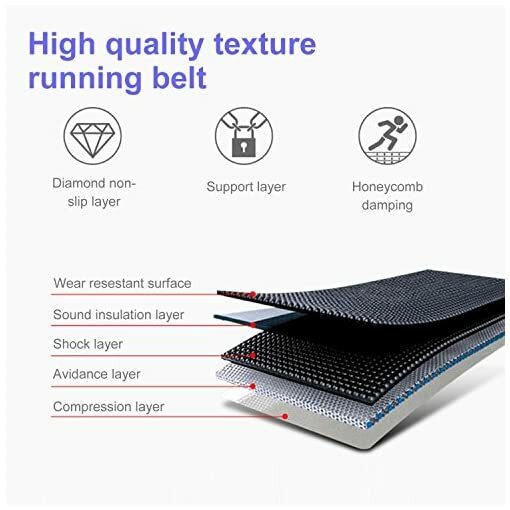 High quality texture running belt for comfortable cushioning, heart rate monitor function to help you find your heart rate for exercise. 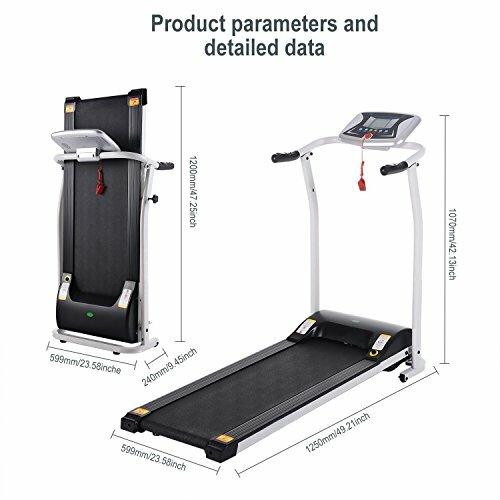 It features a multi-function display so you can track your progress. 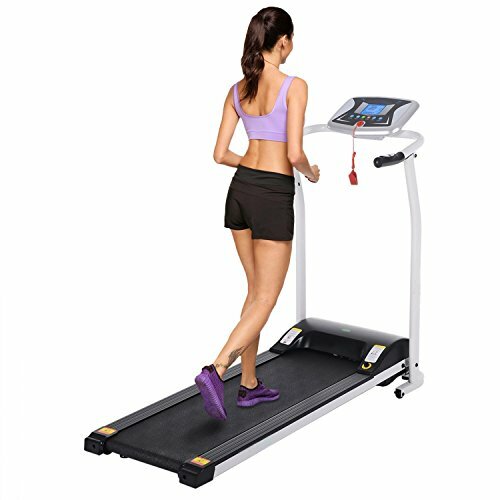 Constructed by high quality steel frame, this running machine can last for a long time. 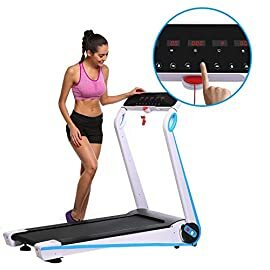 90 degrees full folding design to facilitate storage. 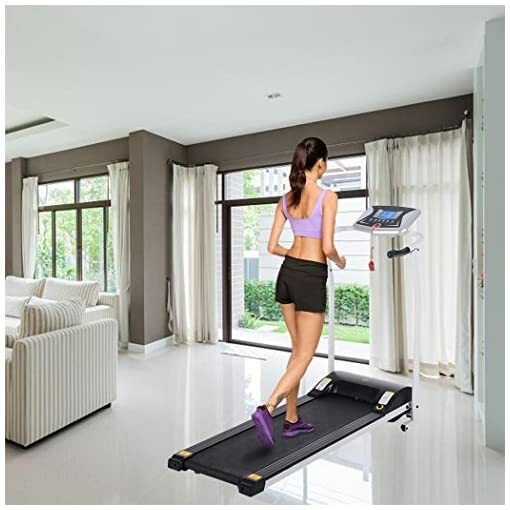 It won’t take much space, you can put it on the bedside, under TV cabinet, the corner or balcony. 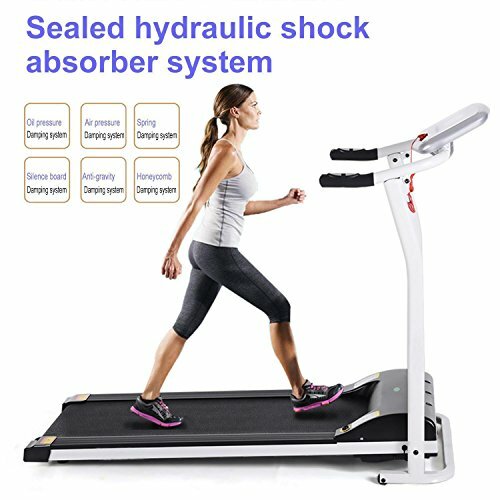 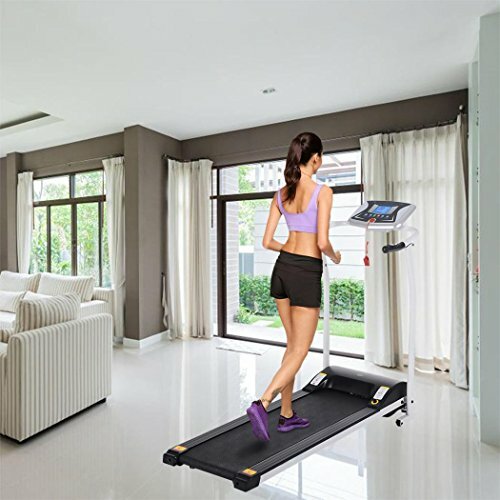 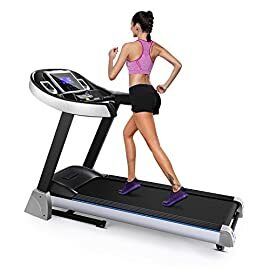 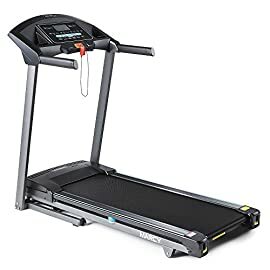 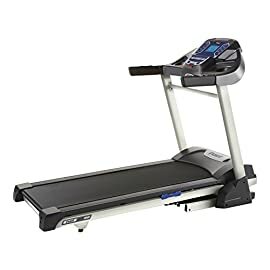 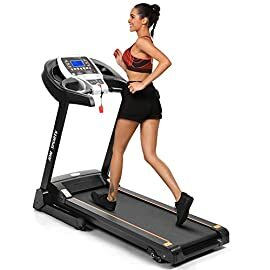 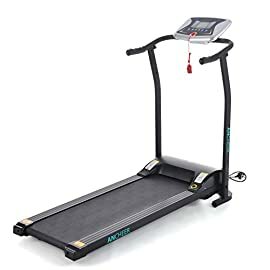 With this high-quality, foldable and easily operated treadmill, you can exercise at any time without spending extra time to go to gym. 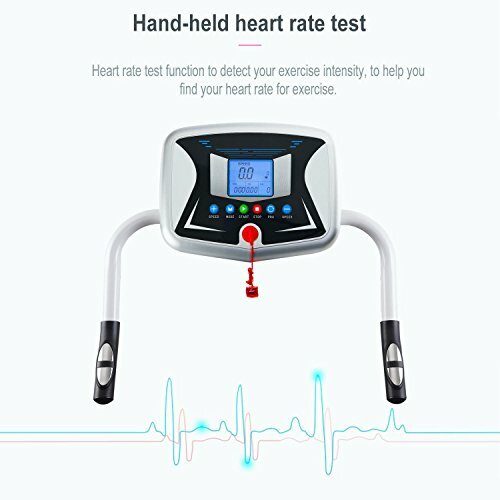 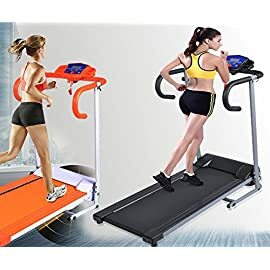 It is ideal for everyday running workout fitness. 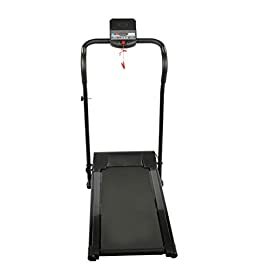 Folds for space-saving storage and moves easily with built-in wheels. 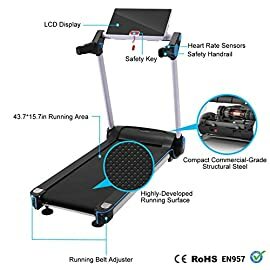 Easy to operate, great for home, gym, cardio exercise.